I have been very curious as to how of these two lenses stack up against each other. The Tamron is $1000 cheaper than the Canon version. Watch the review to see how much of a difference there is. I’ve been ask many many times which lens is best. And from what I’ve seen and experienced with these lenses I tell everyone the same thing; if you think you’ll be using a 70-200mm lens 70+% of the time get the Canon. If you think you’ll use this focal length less, get the Tamron. It is all about opportunity cost. Don’t waste that extra $1100 on a lens when you could have invested that in a second lens or other gear. Your conclusion is spot on. “Will the $1100 really make the difference for you personally?” Great review Caleb! Great review, and I *particularly* appreciate the footage for comparison at the end. Based on that footage, the Canon looks a lot nicer, but, as you say, a grand is a lot of money. Thanks for this review; please keep ’em coming! Thanks for this review! I do wish you had considered their compatibility and image quality with extenders. Even though this wasn’t in the review, did you test this at all, or does anyone else have experience? Thanks for the review Caleb. Looking at the footage at the end of the review, I could not see justifying $1,100 additional for the Canon. I think the Tamron is more than acceptable. Does the Tamron also come with the same six year warranty like the 24-70mm? I didn’t take a look at the warranty info that was with the lens before I sent it back (review unit from B&H). I’m sure it does though. And I know it has a 6 year limited warranty which is great. 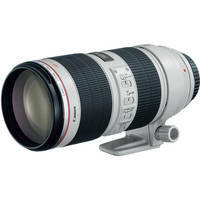 I´m just curious, what if you through the canon 70-200 4,0 IS in to the mix. It is pretty close in price to the tamron and might have the benefits of better built quality (I haven´t used it myself, I´m just assuming) and smaller size then the canon 70-200 2,8 IS. On the negative side you lose one stop of light. Why is that extra stop of light so expensive? I don´t get it. I didn’t, because most people are looking for the 2.8 version. If you shoot mainly outdoors and in controlled lighting areas it is great. They’re expensive because it takes a lot more glass to make F2.8 a reality. Odd question Caleb, but I feel like Canon and Zeiss lenses often have a more “filmic” feel to video footage. Did you notice any unique characteristics between shooting the two? Did one look more rich or contrasty? They were very similar in that regard. About the longer focal range on the Canon, which you mention in the video, it supposedly has to do with something called focus breathing, which the Canon seems to handle much better. I tested them in a store today, both on 200 mm and both on their closest focusing distances, 1.2 and 1.3 meters for Canon and Tamron, respectively, and the Tamron really did get significantly less (20-25% less, I estimate) focal length than the Canon. With focus at infinity, I noticed no difference, however. I am not sure how much practical difference this makes, but I reckon that if you use the lens for portrait, the Canon can have a noticable advantage. In any case, I would say that this detracts a little bit from Tamron’s otherwise better value. I mean, in a sense, all other things equal, you could argue that value = zoom range / price. If you divide the price of each lens by the zoom range it is actually able to perform, the Canon wouldn’t be as much more expensive than the Tamron. In any case, having read or watched several reviews, the Canon appears only marginally better optically, for example having a finer bokeh and less vignetting. The most significant advantages are related to better build quality, both in terms of the durability one can expect from it and in that it is nicer to handle, as you say. 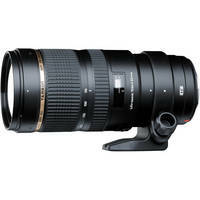 I have also seen in another review that the Tamron’s autofocus is noisier, but I have not tried it myself. Whether that improved build quality, in combination with the zoom range advantage (the actual one, due to greatly reduced focus breathing) and a few minor optical advantages are worth the increased price, I think each buyer will have to decide for him- or herself, depending on how and how much he or she intends to use the lens. In any case, did you purchase one of them yet? Just curious.